During the US Civil War there were hundreds, if not thousands of different types of firearms and cartridges used. One of these weapons systems was the Lefaucheux pinfire revolver and cartridge. Peruse the rest of my site to see many examples of the history of this cartridge. 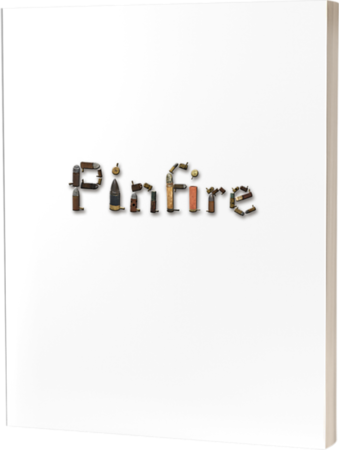 The pinfire cartridge is documented to have been used by armies in the both the Union and the Confederate. One of the perils of having so many unique guns and cartridges is that keeping a steady supply of all of them to all of the troops that needed them was sometimes hard to accomplish. This was especially true for the Confederate. A solution known as an auxiliary chamber or adapter was created to remove the dependency on proprietary cartridges. This adapter allowed the use of the breech-loading Lefaucheux pinfire revolvers with readily available loose powder, lead balls and percussion caps. The gun could use these adapters over and over until a supply of pinfire cartridges was made available again. The example shown is made of steel and appears to be manufactured with a lathe. The pin is tapered at the bottom to allow it to fit in the open slot on the cylinder of the Lefaucheux revolver. The top of the pin is rounded to a size where a percussion cap will fit on it. My example is shown with a brass cap placed on it already. This pin is hollow so the combustion from the cap can reach the powder load inside the main case. My example is loaded with a wax ball. This is not as weird as it may seem at first. People were known to have loaded cap'n'ball guns with wax projectiles and use just the primer charge with little or no powder to shoot inside for target practice, or even at each other. This could have been an early version of airsoft or paintball competitions. It is a practice still used today in cowboy "quick-draw" competitions. Wax projectiles with little or no powder charge tend to do quite a bit less damage to the receiver as a lead ball would. Base of Auxiliary Pinfire Adapter. Notice the tool marks. I have seen similar adapters made for the .44 Hammond pistol, as well as the .41 Williamson Pistol. One source references the invention of the steel auxiliary chamber to be by Oliver F. Winchester. The pinfire version is known to have been made in 9mm, 12mm and 15mm sizes and is known to exist in a couple different variations. One different variation is shown in Chris Curtis' book referenced below. Lewis, Berkely R. Small Arms and Ammunition in the United States Service, 1776-1865. Washington: Smithsonian Institution, 1956. Print.